FMC is steered by an eminent Board of Trustees at the apex level, chaired by Mr. Ajay Shankar. The Board comprises of other eminent persons and institutional representatives from all walks of life. The main role of the Board is to lay down the primary aims and objectives of the FMC and ensure its overall governance in conformity with the vision and mission of the FMC. Mr. Ajay Shankar has had rich and varied experience in public service for over forty years. He has served as Secretary, Department of Industrial Policy and Promotion in the Government of India where his key responsibilities included FDI policy, investment promotion and the IPR regime in the country. 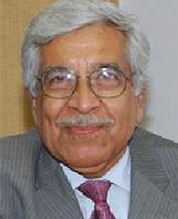 He was the Chairman of the National Productivity Council and of the Quality Council of India. He initiated the setting up of Invest India to facilitate enhanced inflow of FDI.He played a crucial role in putting together the stimulus packages at the time of the global economic crisis of 2008 which enabled the Indian economy to recover in a short time and again grow at over 8%. He subsequently served as the Member Secretary of the National Manufacturing Competitiveness Council (NMCC), an advisory body comprising leading Captains of Industry, key Secretaries of Government and eminent Academics. Prof. Yoginder K Alagh is an ex-Minister of Power and Planning & Programme Implementation with additional charge of the Ministry of Science & Technology of the Government of India. He also served as the Vice Chancellor, Jawaharlal Nehru University, New Delhi and was also a Senior Fellow with the World Institute of Development Economic Research, United Nations University, Helsinki. At present, he is Chancellor of the Central University of Gujarat and Vice Chairman of Sardar Patel Institute of Economic and Social Research, Ahmedabad. He is also a Trustee of the Rajiv Gandhi Foundation. He is also a Director to the Board of several front ranking companies. He holds a Doctoral Degree in Economics from the University of Pennsylvania. He has several books and hundreds of articles to his credit. He was also awarded the VKRV Rao Award in Economics in 1981. 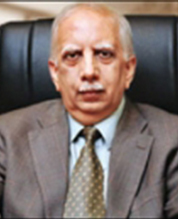 Dr. Sunil Shukla is Director of the Entrepreneurship Development Institute of India (EDII). 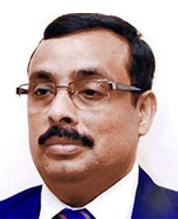 He is the Member Secretary of South Asia Forum for Entrepreneurship Education and Research. He has been involved in promoting entrepreneurship at national and international levels. His activities include ILO-SAAT Missions for capacity building of IEDI, Kathmandu; faculty support to UNIDO, Amman and to TVTC, Zambia. During 2006-11, he successfully anchored a mega project ‘Unleashing Entrepreneurship for Development and Trade’ in Greater Mekong Sub-region countries. As a visiting faculty, Dr Shukla has been teaching ‘Entrepreneurship’ at top ranking institutions including IIM Ahmedabad and IIM Udaipur. He has over twenty years’ of experience in entrepreneurship education, research and institution-building. Dr.Shukla has also been working with various firms for their strategic planning and Intrapreneurial capacity building. Ms. Meera Shenoy has over a decade of experience in market linked vocational skilling of rural, tribal and disabled youth from underprivileged families. She is considered a pioneer in the country in this field and has worked in the government in senior positions, with multilateral funders and now as a Change maker. Meera Shenoy is Founder-Chairperson Youth4Jobs, an organization she set up four years back, which focuses on helping companies, build an inclusive workforce. This includes market linked skilling and placing in organized sector youth with disability, women and scheduled caste. Today Youth4Jobs has become the largest organization in the space of training and placing youth with disability, working closely with companies like Google, etc. 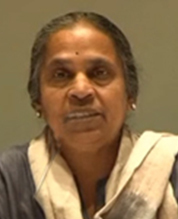 Dr. Veena Joshi has been with the Swiss Agency for Development and Cooperation (SDC). She has contributed to developing and managing SDC’s Global Environment Programme in India. The global environmental programmefocussed on CFC phase out in the refrigeration sector and energy efficiency improvements in the small and micro enterprise sectors such as –foundry, glass, brick and wood based enterprises. Other programme development and management experience includes – Renewable energy services; Rural Energy and Housing; Human and Institutional Development; Post cyclone Orissa relief and rehabilitation programme, SDC’s India Country programmes. She has been a researcher for fifteen years out of which ten years were at TERI in areas of Biomass based cooking stoves and indoor air pollution , Biomass resources, Rural energy planning and Implementation issues, Air pollution issues. 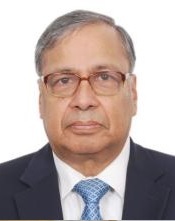 Dr. Santosh Kumar Mehrotra was Director-General, Institute of Applied Manpower Research, Planning Commission (in the rank of Secretary, Government of India) (2009-2014). He is a human development economist, whose research and writings have had most influence in the areas of labour/ employment, skill development, child poverty, and the economics of education. 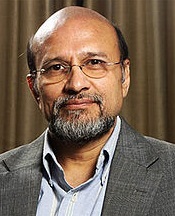 He has experience with the Indian government as a policy maker and adviser, with international organisations as a technical expert, having lived on three continents and travelled to 63 countries providing technical advice to governments; and as an academic whose research work has been translated into various international languages. 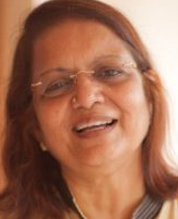 Dr Mehrotra has 35 years of experience of international development research, policy and practice. He has an Academic credibility, with record of peer-reviewed international journal publications development related to economic and human development.